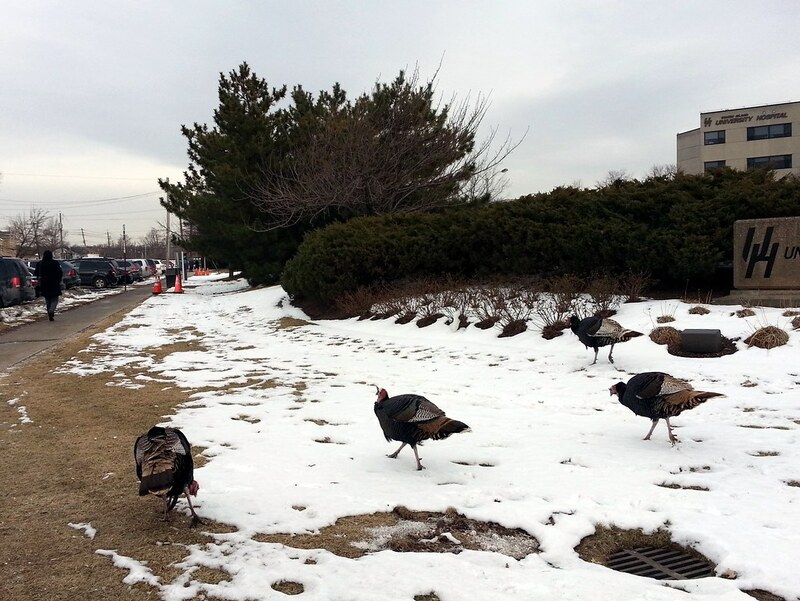 State officials say it all began when someone released nine turkeys on the grounds of the South Beach Psychiatric Center in 2000. Now there are dozens of the birds living at the psychiatric center and in nearby areas. While some locals love them, others think they're nothing but a bunch of pooping, garden-eating traffic hazards. Last year, the USDA began removing turkeys from the psychiatric center's property, sending a number of them off to slaughter and relocating 28 others upstate, but there are still plenty left wandering around. 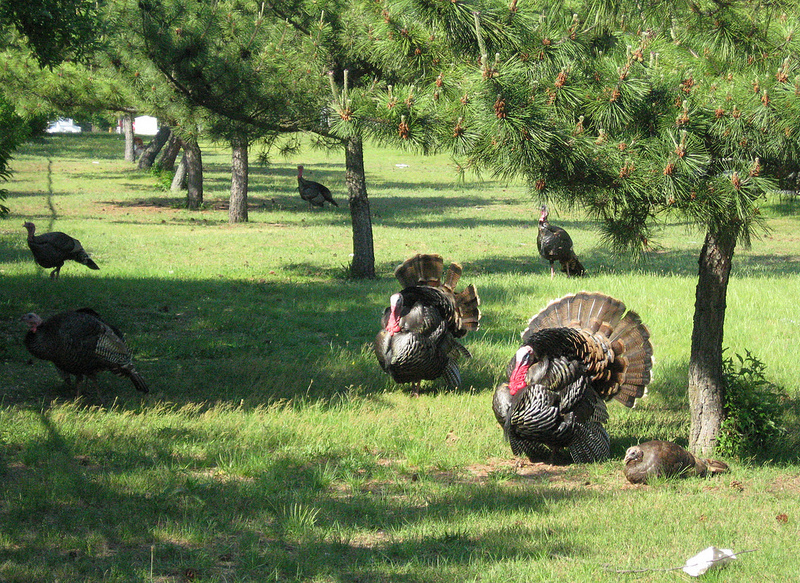 I first learned about these turkeys when I encountered some a few years ago in late spring. I got a good shot of two males strutting their stuff for the ladies.